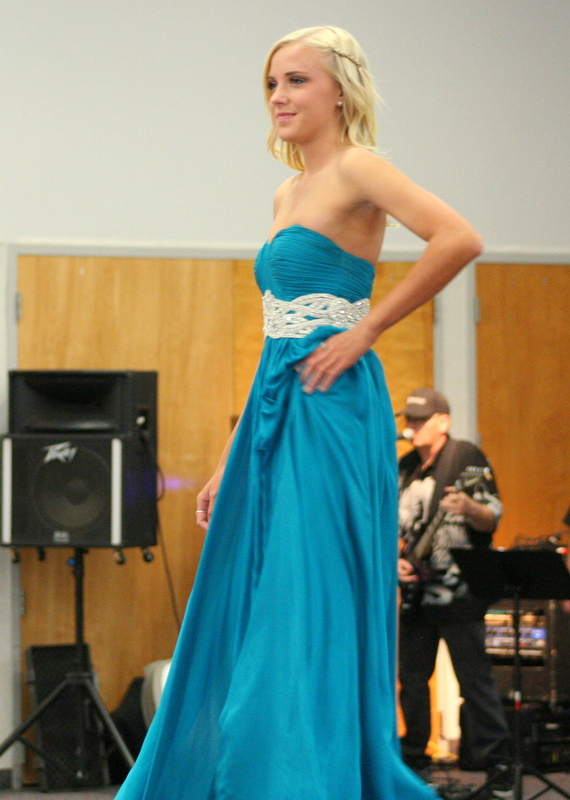 On Friday, March 5, the combined Miss La Mesa and Miss Santee Pageant was held at Sonrise Community Church. This annual event crowns the young women who will be representatives for their respective cities for the next year. 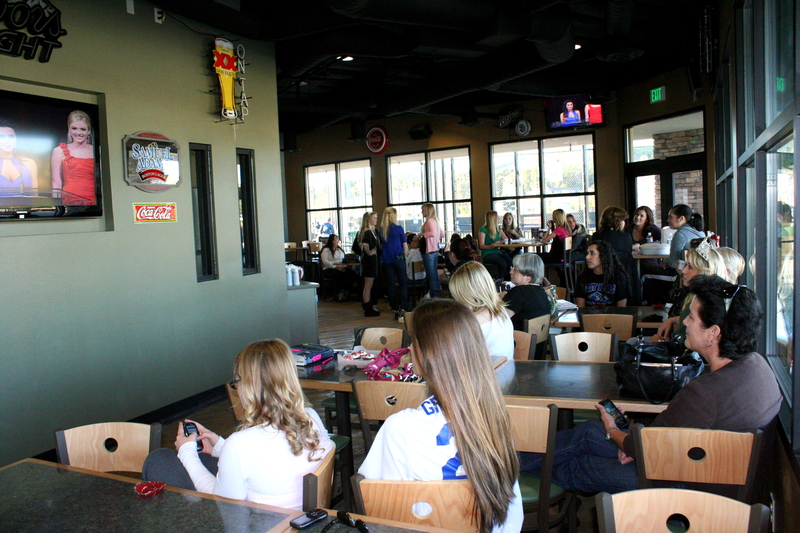 A total of 39 young ladies, ages 14 to 26, competed for the titles of Miss and Miss Teen for La Mesa and Santee. In addition to the top prizes, awards were also given for outstanding efforts in speech, interview, and essay. The evening started off with a welcome from the current Miss Santee, Sierra Billock, and Miss La Mesa, Stephanie Packard, and the singing of the National Anthem by Ms. Packard. 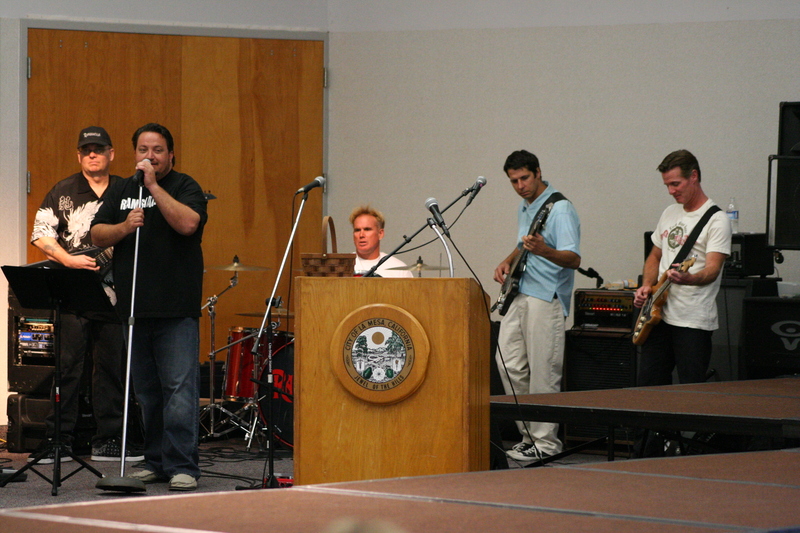 This was followed by an opening number featuring the 2009 queens and 2010 contestants/delegates performed to Miley Cyrus’ “Party in the U.S.A.” Then MCs Miss Greater San Diego, Ashley-Monique Alcala, and Miss Greater San Diego Teen, Alexis Swanstrom, took the podium to introduce the judges and continue with the Pageant. This included a special presentation of stuffed animals collected for the La Mesa Police Department’s program that provides these little reassuring friends to children who have been affected by crimes. After a presentation by the City of Santee and the Community Crown Award, La Mesa and Santee Miss Teen delegates took part in the Evening Gown competition and On-Stage Questions. Questions ranged from the simple to the detailed, but were more designed to allow the contestants to show how well they do in an extemporaneous situation. Some of the young women did quite well in this portion of the contest, while others seemed less comfortable answering questions in front of the crowd. 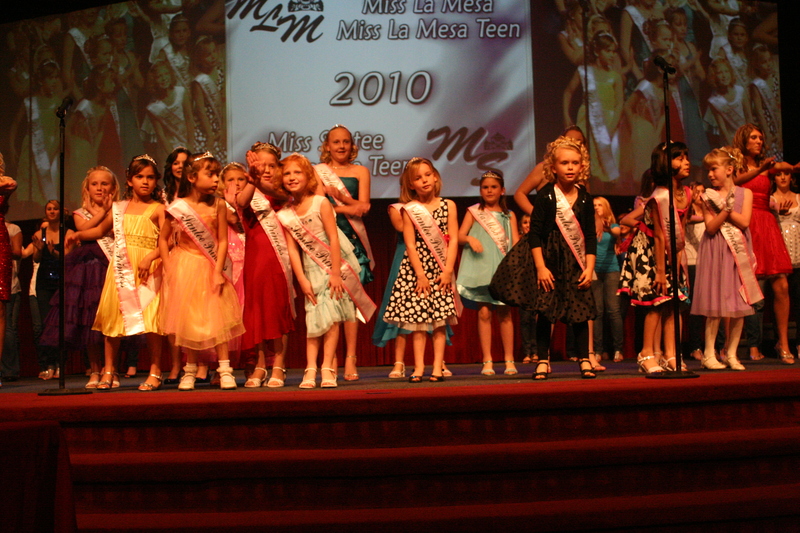 The Miss Teen section was followed by the introduction of the La Mesa and Santee Princesses. These are girls age 6 to 12 who get training in etiquette, go through some of the pageant activities, and later take part in some city events along with the queens. 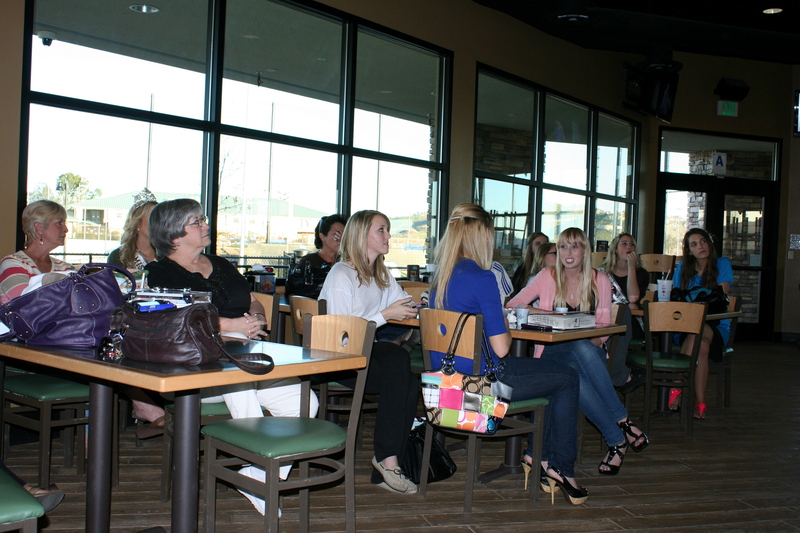 It was interesting to see how many of the girls from Santee attend my younger daughter’s former school of Cajon Park, as do some of the regular delegates. 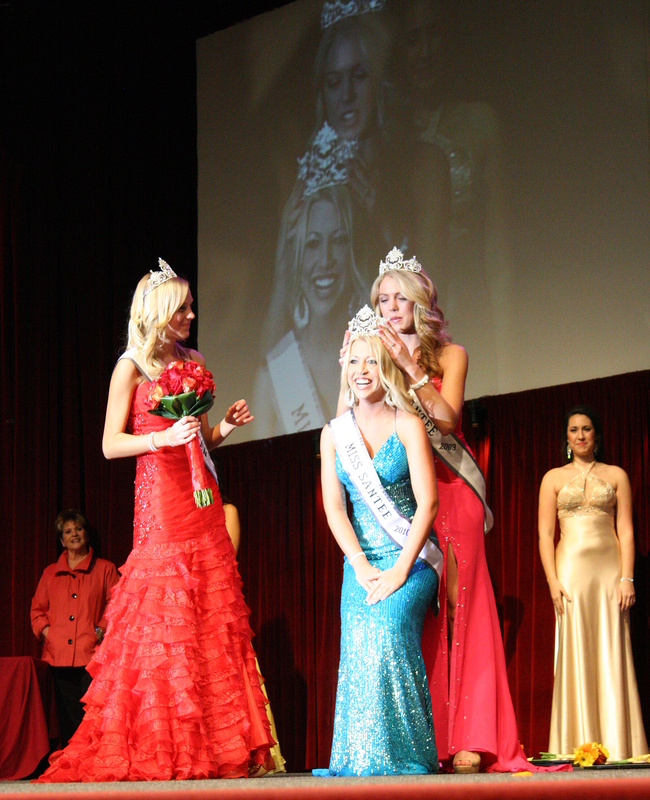 After the presentation of the Princesses it was time for the Miss La Mesa and Santee delegates to take part in the Evening Gown and On-Stage Question competition. 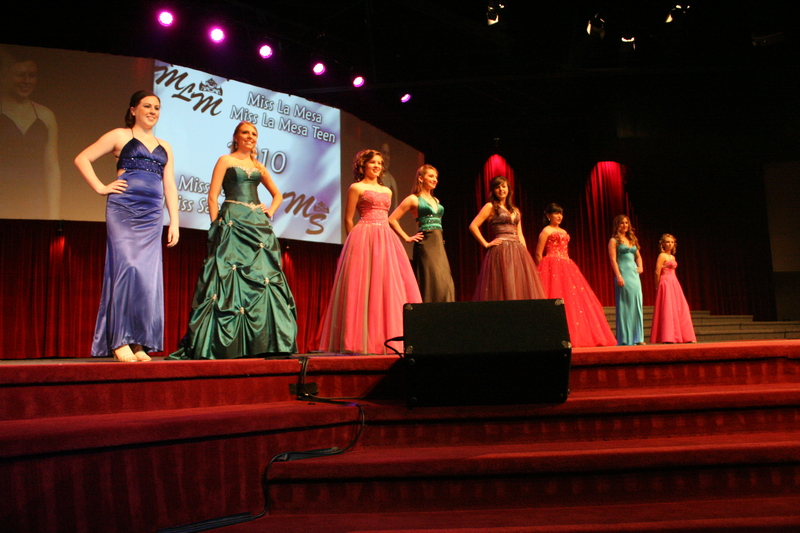 It was very similar to the Miss Teen portion of the Pageant, with beautiful gowns, confident young women, and an eclectic variety of questions. 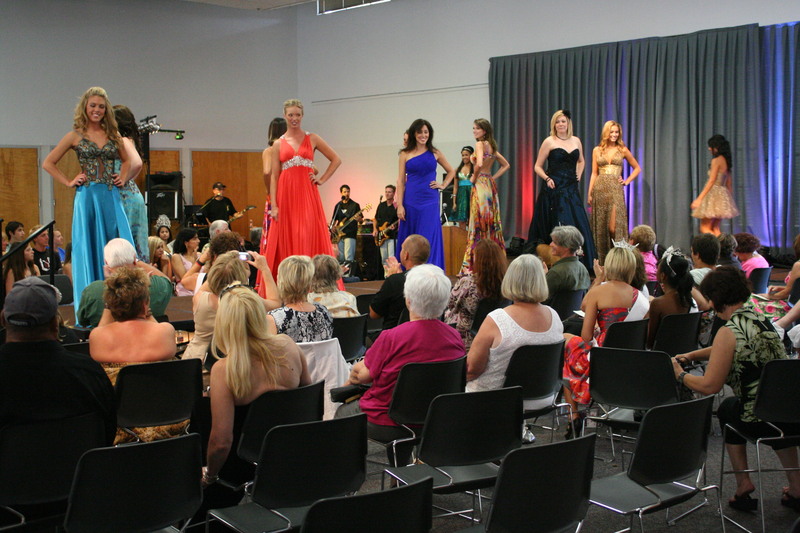 When the Gown-and-Question segment was complete, the final tallying of points began. While this was going on the City of La Mesa presentation and Community Crown Award took place, followed by remarks by Pageant Director Alexandra Kuty and the introduction of visiting queens from around the county. The most touching part of the evening was the Farewell Addresses by the reigning 2009 queens. All four young women were escorted to the stage by their families, then the queens spoke to the audience and took one final bow. I felt the outgoing Santee queens Sierra Billock and Nicole Ehlke, who came out first, were especially eloquent in their farewell speeches. It was clear that both pairs of young women had developed strong friendships over this past year, and the Teens both spoke of their counterparts as big sisters. Finally the time came to announce all the various winners – from interview, speech, and essay winners to the new 2010 queens for Santee and La Mesa. 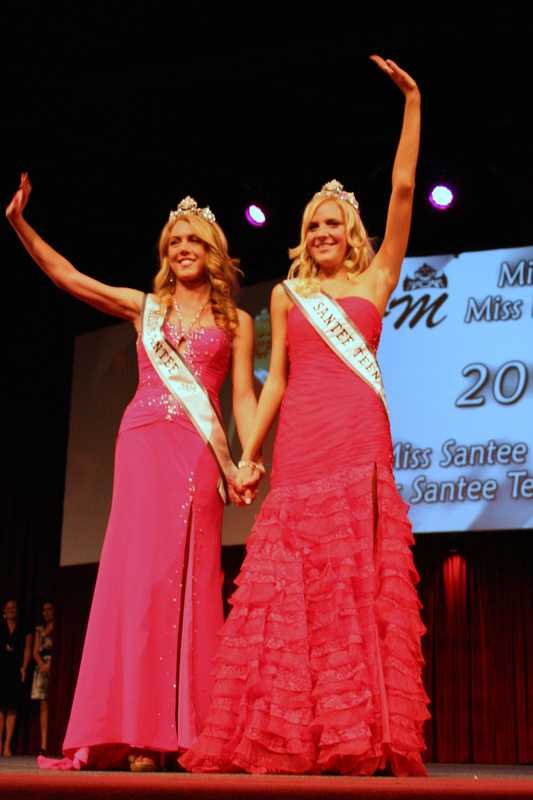 One of the interesting stories of the night was when Miss Santee Teen Nicole Ehlke, whose youngest sister Michelle is a Santee Princess, draped the Miss Santee Teen 2nd Runner Up sash on her middle sister Jennifer. 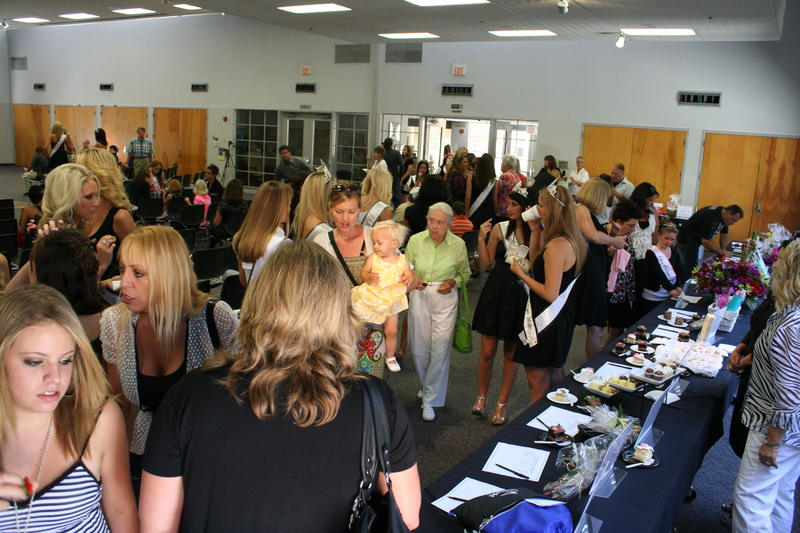 The top winners were Miss Santee 2010 Kimberly Swank, a former Miss Santee Teen, Miss Santee Teen 2010 Taylor Shelton, Miss La Mesa 2010 Erynne Grecco, and Miss La Mesa Teen Danamarie McNicholl-Carter. 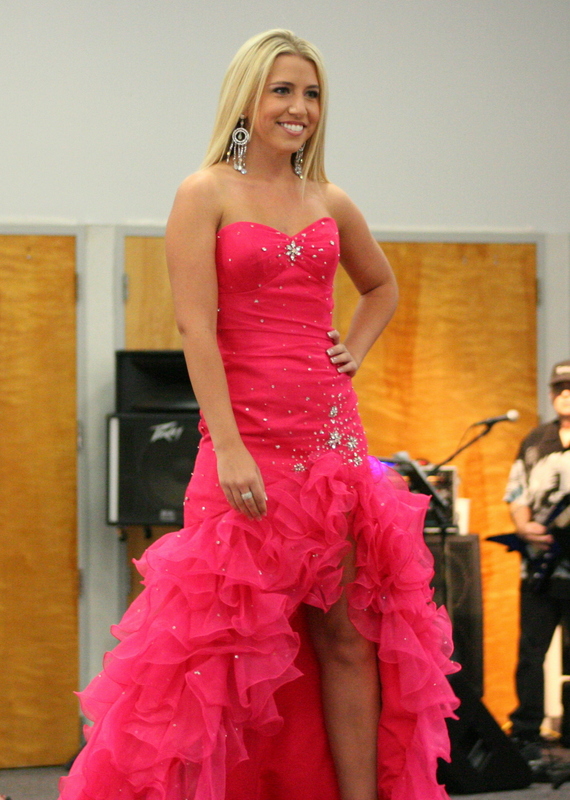 For more pictures from the Pageant, click here. 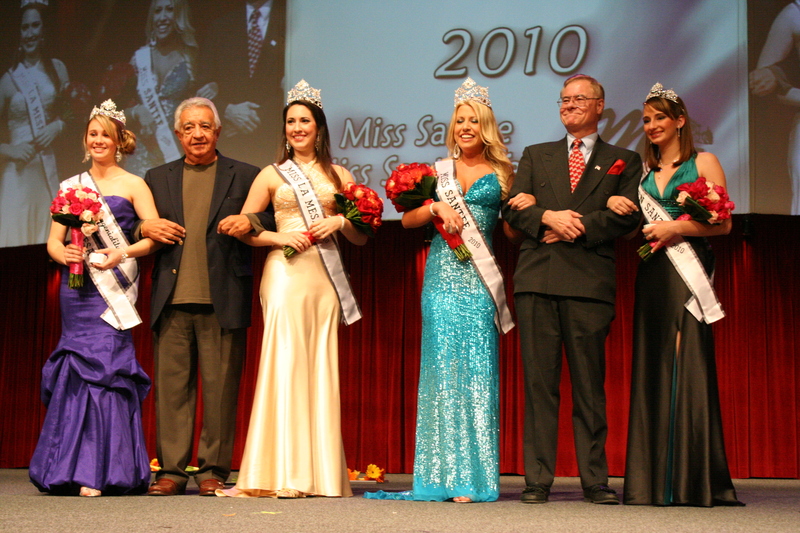 This Friday, March 5, the 2010 Miss La Mesa and Miss Santee Pageants will be held at Sonrise Community Church in Santee. The young women who will be chosen become community representatives for their respective cities, and each receives scholarship money toward their future education. 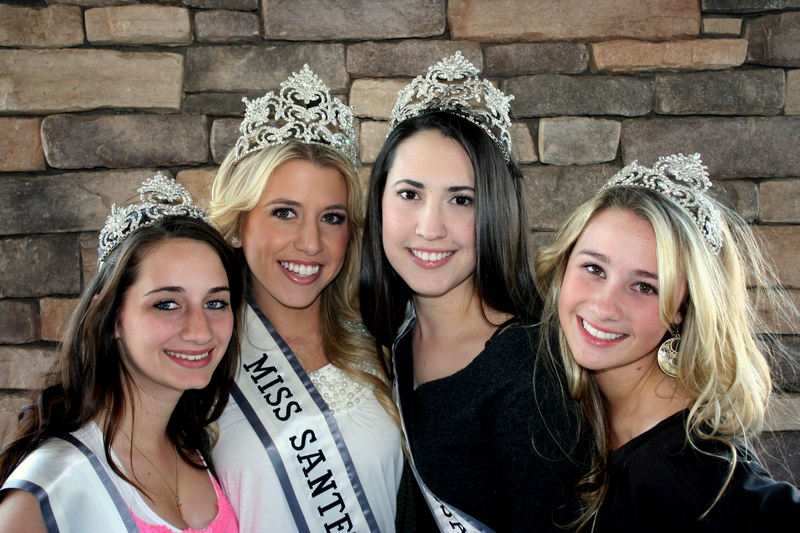 I have been fortunate enough to work with the current Miss Santee, Sierra Billock, and Miss Santee Teen, Nicole Ehlke, and they have both done wonderful jobs helping to promote the city at various events. 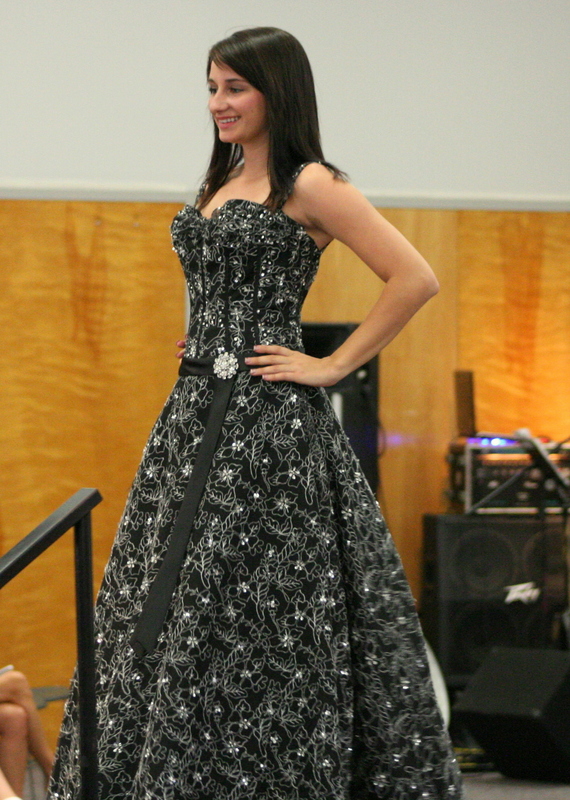 The Pageants start at 6:00 pm, and tickets are available at the door for $20 and programs for $5. Sonrise Community Church is located at 8805 N. Magnolia Ave. in Santee, just north of the new SR-67/SR-52 construction. Please come out and support these programs and the young women involved.